The Liberal government's new defence policy lays out a plan to increase the defence budget by 70 per cent over the next decade to $32.7 billion. It is a mixture of new and previously committed cash. The Liberal government's new defence policy lays out a plan to increase the defence budget by 70 per cent over the next decade to $32.7 billion. It is a mixture of new and previously committed money. The long-anticipated review calls for a slight increase in the size of the military — both regular and reserve forces. There will also be a modest increase in the size of the special forces. 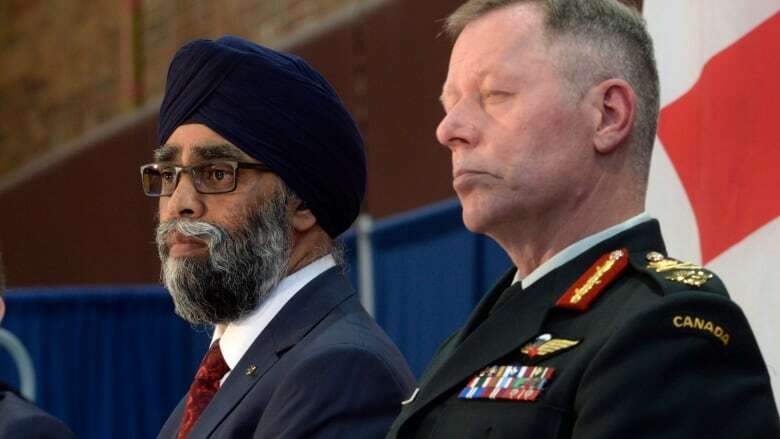 Defence Minister Harjit Sajjan and Transport Minister Marc Garneau announced details of the plan during a news conference Wednesday in Ottawa. The announcement comes on the heels of Foreign Affairs Minister Chrystia Freeland's address to Parliament Tuesday, which among other things laid out the case for a bigger defence budget. Sajjan called the military an "indispensable tool" of Canada's foreign policy. "If we are serious about Canada's role in the world, then we have to be serious about funding our military," he said at the news conference. "And we are." The previous Conservative government promised in 2008 to provide "stable and predictable funding" for the military, but ended up carving as much as $2.1 billion annually out of the defence allocation in the drive to balance federal budget. Sajjan was repeatedly asked on Wednesday how the Liberals could guarantee that their plans won't meet a similar fate. "We as a government and future governments owe it to the Canadian Armed Forces that we fully fund the Canadian Armed Forces on a long-term footing," he said. The Liberals have been under pressure, notably from the Donald Trump administration, to increase defence spending to meet the NATO benchmark standard of two per cent of the gross domestic product. The military alliance has pegged Canada's contribution at roughly .98 per cent, but the new policy says Canada has been under-reporting its numbers and is now counting expenditures like direct payments to veterans and the cost of administering defence program at both treasury board and public works. That raised the eyebrow of defence observers, who while offering qualified praise, said it remains to be seen whether the current or future governments will live up to all of the spending plans. The government said it rejigged the accounting formula after conducting a study and consultation with NATO. "I think to their credit they fudged the accounting structure, but at least they did so in a transparent manner so you can see exactly how they fudged it," said Dave Perry, of the Canadian Global Affairs Institute. ​Sajjan said troops are at "the heart" of the defence policy, and personnel have a "solemn commitment" from military, civilian and political leadership to ensure they are cared for and equipped to do the tasks they are called on to do. He said the long-term funding plan underwent rigorous costing analysis, and will hold the current and future governments to account. Chief of the Defence Staff Gen. Jonathan Vance called it a "great day to be in uniform," and said the policy is a morale-booster for the troops because it places a premium on members. "It's a good thing for a military to know its country has its back," he said. Even still, Sajjan faced tough questions on how the Liberals will pay for the plans in light of a projected federal deficit of $28.5 billion. Finance Minister Bill Morneau brushed past reporters on Wednesday when asked about the funding. "You can talk to my colleague," he said, referring to Sajjan. Conservative Defence critic James Bezan said the policy offers "big promises" but little hope the Liberals will actually deliver, based on their track record on defence spending. "Today's defence policy clearly demonstrates that the Liberals are punting the hard decisions down the road: More delays, more dithering, more disappointment," Bezan said. "Every time the Liberals have been given an opportunity to step up, they have stepped back. They have stood on the sidelines waiting for our allies to do the heavy lifting and have asked our troops to do more with less." 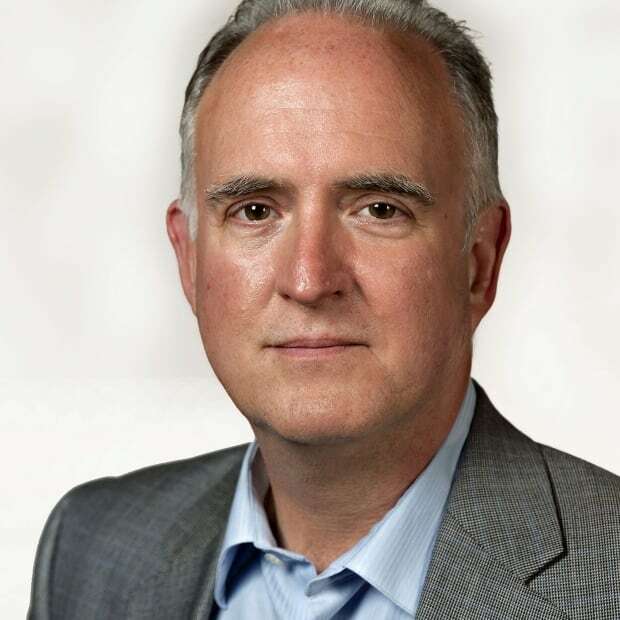 "We were expecting a lot more from this defence review," said NDP defence critic Randall Garrison, saying it lacks the substance that is required for Canada to play a leadership role in the world. "To do that, we would need to both increase our defence spending and at the same time, dollar for dollar, increase our aid spending," he said. "We find none of that. All we have is promises for future increases." The Liberals' plan outlines myriad new equipment purchases. It also reveals for the first time how many warships and fighter jets the government intends to buy in order to replace existing fleets. The government intends to fund the construction of 15 advanced warships to eventually replace the current patrol frigates in a program that is already underway. The air force will get 88 new fighter jets to replace the aging CF-18s — up from the 65 jets the former Conservative government had planned to buy. The number is significant because the Liberal government has insisted it has not had enough fighters to meet its NORAD and NATO commitments at the same time. It had planned to buy 18 Boeing Super Hornets as an interim measure, but the defence policy makes no reference to that and simply says the existing squadrons will be replaced through an open competition. Senior government officials, speaking at a background briefing, signalled that the Super Hornet program is still under consideration, but could not provide any data on costs. The Liberal government is involved in a separate trade dispute with Boeing, something that has put the future of the interim fleet purchase in question. 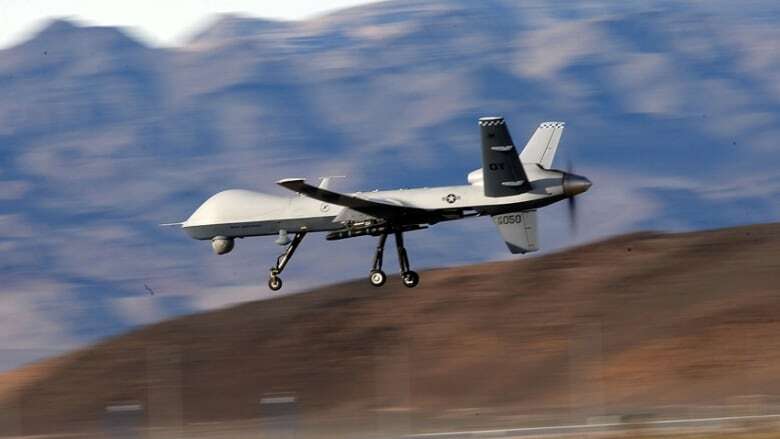 Among its new equipment, the defence policy says the air force will also get armed drones for surveillance and combat and replacements for their nearly four-decade old CP-140 Aurora surveillance planes. The military will get more cyber operators who will have the authorization — under government supervision — to conduct online disruption operations against potential threats. The policy signals that Canada will not join the U.S. ballistic missile defence program, but it will participate in the refurbishment of the North Warning System under the umbrella of NORAD. Over a decade ago, the Liberal government of Paul Martin decided not to take part in the controversial missile defence program. Since then both Senate and House of Commons defence committees have recommended the government reconsider. The defence policy review recommends modernizing the existing submarine fleet and sailing them until 2040, rather than buying new ones. NATO Secretary General Jens Stoltenberg issued a statement welcoming Canada's plan to boost spending and increase the size of the military. "This new policy affirms Canada's unwavering commitment to NATO and will ensure Canada has the armed forces and key capabilities that the alliance needs," the statement reads. "Prime Minister Trudeau, together with Defence Minister Sajjan and Foreign Minister Freeland, have demonstrated real leadership in developing this defence policy. In these challenging times, Canada's commitment to the alliance is important as we work to keep our nations safe and NATO strong."